For Quality Affordable Pilates method classes and variety of fitness options for children, mature adults and clinical populations. Embrace exercise as part of your lifestyle for you and your family! Invest in your Family's Health & Stay Fit! We are open on SUNDAYS 8.30AM to 6.00PM! Not able to attend weekday classes ? Now you can take classes that you have always wanted. Come join Us on any given Sunday! No need to be tied down with membership fees. We offer discounted prices for pre-paid packages! Check it out! Welcome to our private section of our studio. We have a dedicated Private environment for Private Workout Classes to make sure you get the attention and privacy you deserve. 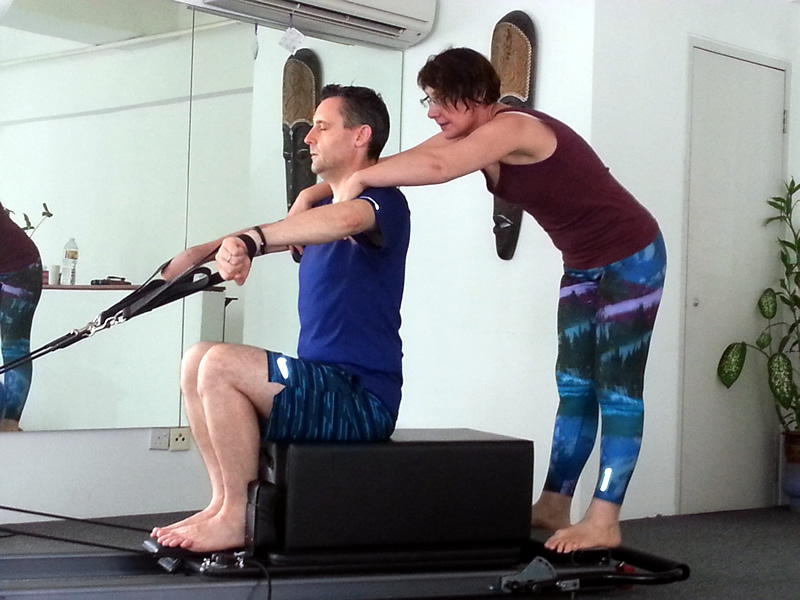 Pilates Home Studio is a PILATES, Rehabilitation and Fitness boutique studio in Kuala Lumpur incorporated in October 2008. 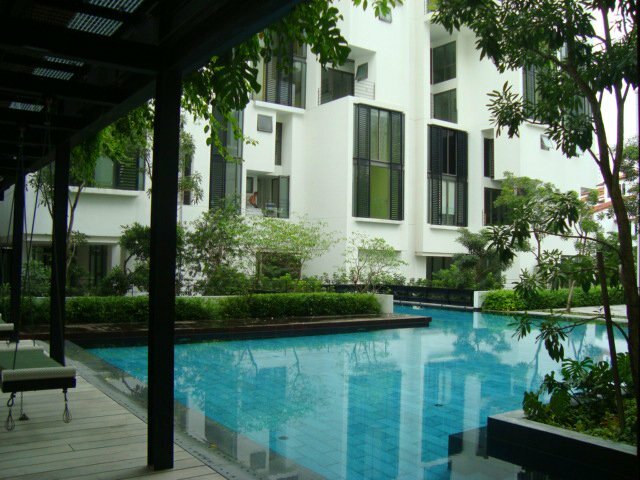 The Studio moved to Bangsar South, Pantai Hill Park in October 2010. 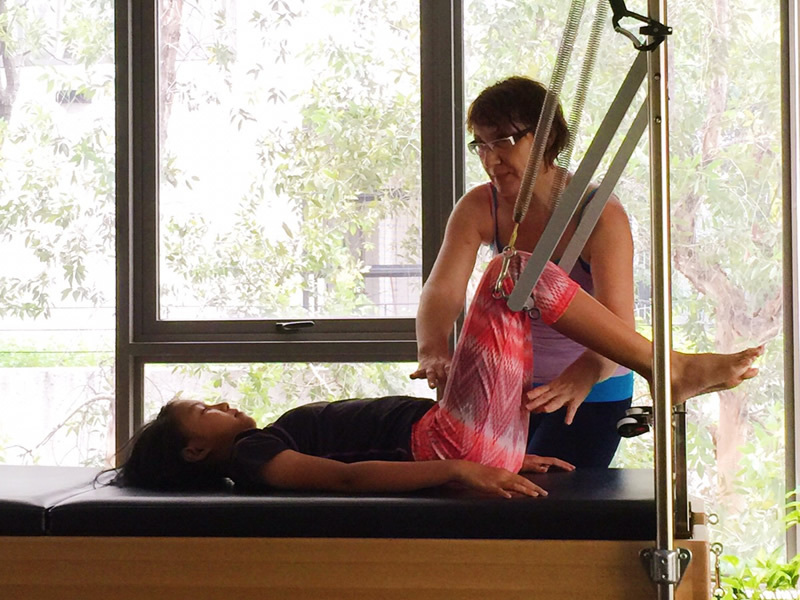 Our Mission is to provide quality affordable Pilates method classes and variety of fitness options for children, mature adults and clinical populations. The studio's focus is on holistic approach to health and well being, self-management and prevention of age related ailments and disabilities. 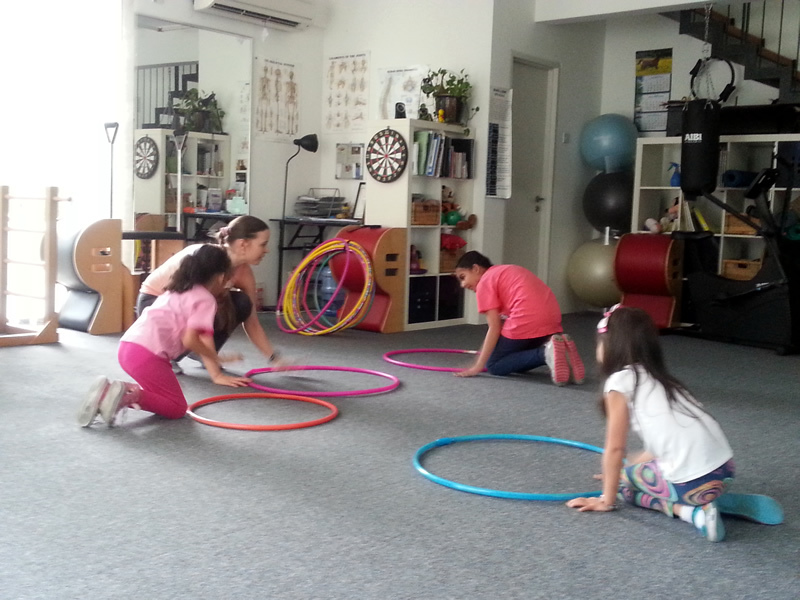 The studio offers a comprehensive approach to active aging and rehabilitation fitnesss, a new concept in Malaysia. Why Should You Be INterested ? Regular physical activity can contribute to your health and provide additional benefits depending on the exercise options you choose. Mix and match from the many options we offer to get the best of the results! Let's be FIT! Here are Benefits OF Our Classes. Open Sundays 8.30am to 6pm! Invest in All of Your Family Health and stay Fit with PILATES HOME STUDIO, Your Partner in Healthy Living. 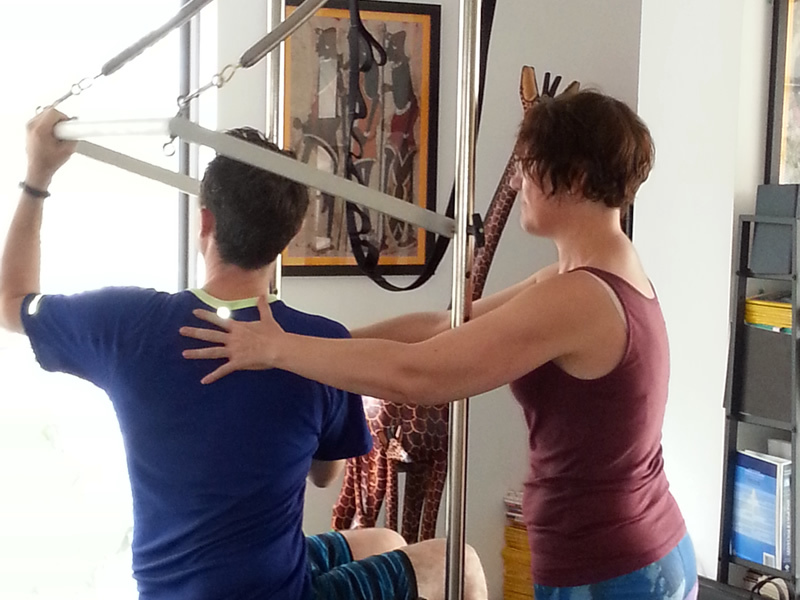 Anna has over 14 years experience of teaching Pilates method and over 5years experience as Exercise Physiologist. She opened the studio in October 2010 to offer mostly Pilates classes but broaden the studio reach with a focus on Family Friendly, affordable, multi-modality workouts to provide the best exercise options for a variety of populations staying ahead of fitness trends. 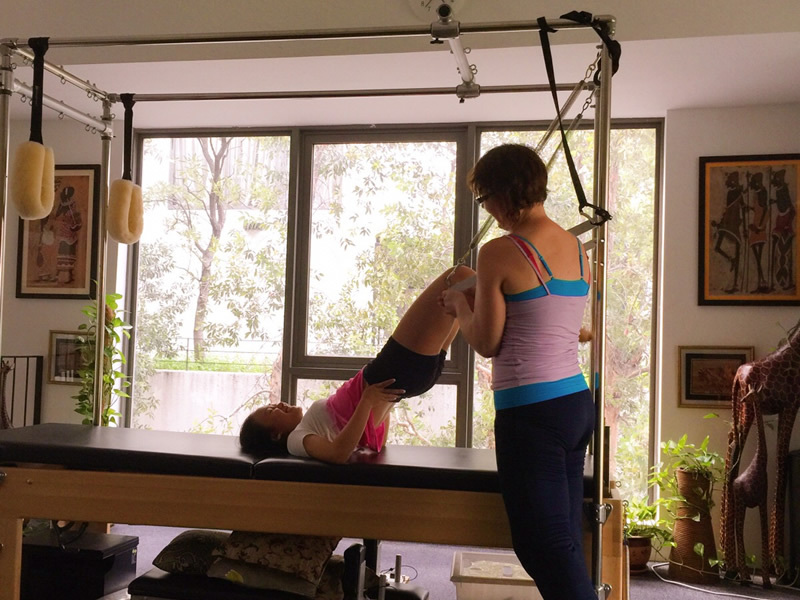 With Pilates method "in her bones", Anna has a variety of skills to bring your Pilates practice to a new level be it to improve athletic performance, maintain your back health, deal with the injury or just have fun with the movement and Pilates apparatus! Luba Lozovskaya is an American Council of Exercise (ACE) certified (ACE GFI certified (2008), ACE PT certified (2009), TRX ( 2011) personal and group classes instructor with over 9 years of experience working with diverse fitness populations. 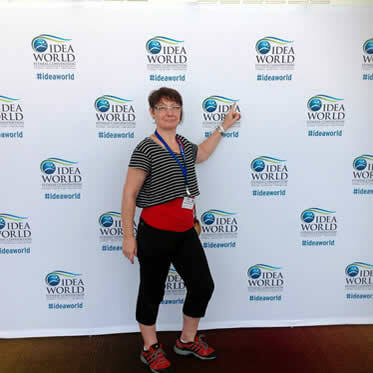 With a passion for fitness and healthy lifestyle, Luba has many skills and certifications under her belt to address most if not all exercise needs of the studio clients. She teaches TRX Resistance training , Power Flow classes, Barre , Zumba Fitness , Aqua Zumba and a variety of classes for kids and teens like Kids Zumba, Kids Ballet, Fun Movement to name a few. 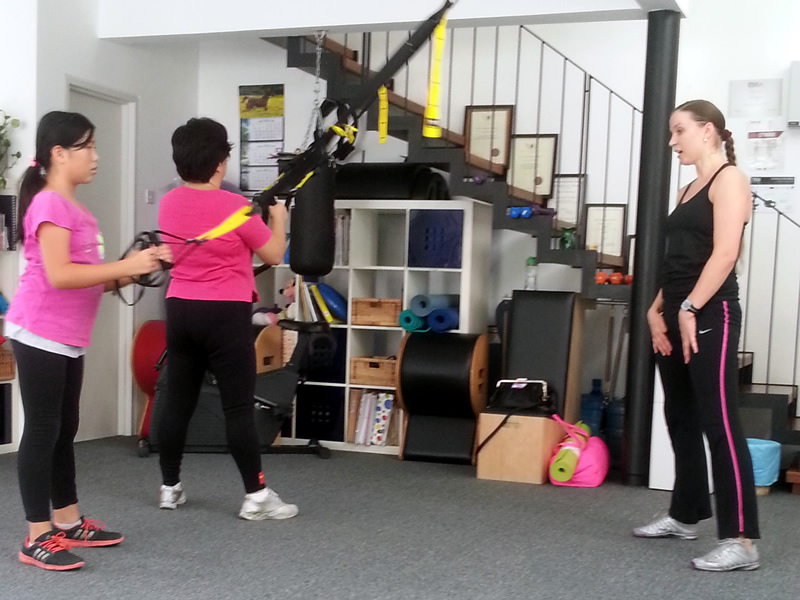 She is ACE certified to teach special classes for pre- and post-natal women. She has been in local fitness industry since 2006. 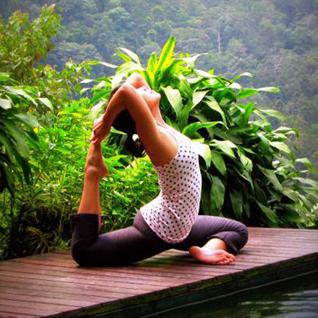 Wong Hui Hsien an avid yoga practitioner and a certified yoga teacher living in Kuala Lumpur. Her passion is to help people create a balanced and healthy lifestyle through the magical wonders of yoga. These practical yet effective techniques include both physical and mental challenges but also an enjoyable and enlightening voyage of self discovery. If you have any questions, need extra information or want to see it all for yourself and meet us in person, you are most welcome to VISIT US! Copyright 2015 Pilates Home Studio. All Rights Reserved.